Rosanne Telfer, 95, of Brookfield, Wisc., formerly of Charlotte, passed away peacefully and surrounded by family on May 9, 2018 in Brookfield. She was born on February 4, 1923, to George and Lillian (Woods) Porter in Highland Park. Rosanne married Alex Telfer on April 14, 1945. She was a 4-H leader teaching clothing and cooking for several years, and she loved gardening and taking care of her family. This beautiful, warm, compassionate woman leaves a legacy of love, humor, understanding, patience, kindness, elegance and a deep love of children. Everyone who met her loved her. We are so sorry to have lost you but know that many others are rejoicing, including all the precious children in heaven that now have a wonderful guardian angel of their own. We loved you yesterday, today and will every tomorrow. Rosanne is survived by her daughter, Kathy (James Mathew “Matt” Bourne) Bourne; two sons, Ross (Tammy) Telfer, Bruce (Julie) Telfer. She was preceded in death by her husband, Alex, in 1994; and her son, Scott, in 1991. Visitation will be held from noon to 2 p.m., Monday, May 14, at Pray Funeral Home in Charlotte, with funeral services following at 2 p.m. Rosanne will be interred during a private graveside service at Maple Hill Cemetery in Charlotte. The family expresses its deepest appreciation to Silverado Oak Village where Mom has been loved and cared for over the last seven years, Community Memorial Hospital and Horizon Hospice. They all surrounded her with love and wonderful care. If desired, the family suggests memorial tributes to the Ronald McDonald House Charities of Eastern Wisconsin, Inc., 8948 Watertown Plank Rd., Milwaukee, WI 53226, where they house and support families whose children are having medical treatment at Children’s Hospital. She loved the gardens and the house there and has always loved children. The family is in the care of Pray Funeral Home in Charlotte. Family and friends are encouraged to share remembrances and condolences online in Rosanne’s tribute page at PrayFuneral.com. Sylvia Williams, 86, of Vermontville passed away peacefully Wednesday, May 2, 2018 at her home. Funeral Services will be held at The Daniels Funeral Home in Nashville at 11 a.m. on Saturday, May 5, with Pastor Karen Kinney officiating. The family will receive visitors on Friday, May 4, 2018, from 6 to 8 p.m. at Daniels Funeral Home. Interment will take place immediately following the funeral service at Freemire Cemetery in Sunfield Township. Memorial contributions can be made to the Maple Valley Scholarship Foundation or the Lake Odessa Historical Society. For further details, please visit danielsfuneralhome.net. 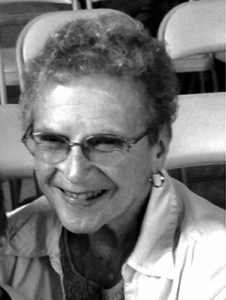 Phyllis Ordeilia Hollister, 85, of Bellevue, died peacefully at home Thursday, April 19, 2018. She was born July 27, 1932, the daughter of Orien G. Smith and Eunice (Reed) Smith in Hoopeston, Ill.. She graduated from Bellevue High School in 1950. In that summer she married George Hollister. She was a Chicago city girl that friends teased would probably marry a farmer when she left for the wilds of Michigan in 1948. Indeed, for 62 years she enjoyed life on the farm with him. After their three children were born, Phyllis’ mother passed away and she and George raised her teenage sister and brother. In later years they also helped raise their grandsons at the death of their daughter, Janese. Family was important to them and they embraced life’s tragedies with optimism and hope for the future. She was a member of the Bellevue United Methodist Church for more than 65 years, served 15 years as Sunday school leader, and enjoyed many years of friendship with the United Methodist Women. She was also church secretary for several years. For over 30 years she was a member of the Women’s 20th Century Club of Bellevue. 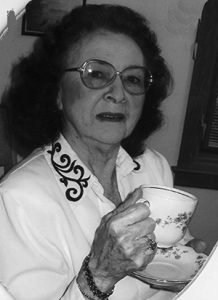 She was active in the Bellevue Historical Society. She also worked many years as the Bellevue Elementary librarian, as well as librarian for the Township. She and George greatly enjoyed travelling on bus trips with friends and camping. She was a gifted painter, basket maker, and gardener. She made many presents of her crochet; embroidery, and homemade sourdough french bread (known as the Bread Lady). She was also a very avid reader and especially loved American history (thank you book club friends for sharing many of those words on page). Phyllis was a woman of great faith, strength, and determination. Generous with her time and love. Humble and of great character. She will be missed by many, many people whose lives she touched. She will best be remembered as wife, mother, grandmother, great-grandmother, sister, and friend. Thank you Lord for taking her Home. Phyllis is survived by daughter, Kathryn Hollister of Carbondale, Ill.; son, David (Jennie) Hollister of Bellevue; grandchildren, Cade W. Rugg, Craig O. Rugg, Janeice (Rick) Little, Eric (Jessica) Hollister; great-grandchildren, Kyle Little, Marissa Little, Caroline Wagner, Cade Rugg, Carson Hollister, and Adam Hollister; special sister, Janet Moon; and brother, Larry Smith. She is preceded in death by her parents; husband; daughter, Janese; son in-law, Stuart O. Rugg; and grandson, Christopher J. Rugg. The family will receive friends from 10 to 11 a.m., Saturday, May 12, 2018 at Bellevue United Methodist Church. A memorial service will follow at 11 a.m., with Pastor Gini Heller officiating. Interment will be held at Riverside Cemetery. Family requests memorial contributions be directed to the Bellevue Historic Society, Bellevue Public Library, or Oaklawn Hospice. Friends may send condolences or share a memory at kempffuneralhome.com. Carroll Wyllis Smith, 84, of Nashville, passed away on April 27, 2018. Carroll was a proud veteran of the United States Army. After his time in the military, he met and married the love of his life, Alexandra Dexter and they were married for 58 years. Together they raised four children. Carroll enjoyed working with wood and making all different kinds of crafts that he would take to flea markets and sell. He owned and operated C & A Auctions from the years of 1993 until 2005. He especially loved his family and meeting new people at the auctions or flea markets. He had a special place in his heart for babies and little kids. He enjoyed being around the kids as often as he could. Carroll is survived by his wife; daughters, Alicia (James) Rice of Marquette, Mandy (Joel) Tye of Fort Wayne, Ind. ; son, Mark (Teresa) Smith of Nashville; daughter-in-law, Amy Smith; six grandchildren; 11 great-grandchildren; sister, Alverta (Ron) Lea, and brother Richard (Becky) Smith. He is preceded in death by his son, Carroll Bart Smith; brothers, Robert and Bruce Smith; and sister, Myrna Avery. Funeral services were held May 3, 2018 at Kempf Family Funeral & Cremation Service in Bellevue, with Pastor Jerry Bukoski officiating. Interment was at Maple Grove Township Cemetery. Memorial contributions may be directed to the Kalamo United Methodist Church. Friends may send condolences or share a memory at Kempffuneralhome.com. 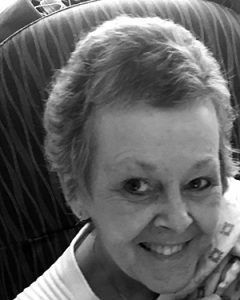 Karen Marie Coplin, 59, of Nashville, went home to heaven April 28, 2018. Karen was born May 15, 1958 in Fort Leonard Wood, Mo., the daughter of Homer and Joan (Squires) Parish. A hairdresser since high school, Karen loved working from home raising her three boys. She was always doing crafts like scrap booking, cross stitch, and sewing. Keeping her house clean made her proud and she loved a fresh coat of paint every three-to-five years. In 2010 Karen began working in the food services department for Maple Valley Schools, continuing her care for the students until she became ill.
Karen is survived by her loving husband Steve; sons, Kendrick (Dannielle) Coplin, Micah Coplin, Austin (Sheridan) Coplin; her grandchildren were her pride and joy, Logan, Wyatt, and Aria. A memorial service at Nashville Baptist Church was held Thursday, May 3, with Lester DeGroot officiating. Memorial contributions can be made to Nashville Baptist Church. 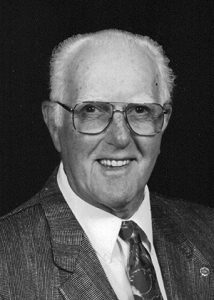 John P. “Pete” Maurer, 89, passed away Saturday, April 28, 2018. He was the fourth of 14 children, of John and Germaine Maurer and graduated from Nashville High School in 1946. He received his BS in Physics from Michigan State University and was a long time resident of Ann Arbor. Working in quality control for many years, his life long passion was physics. He attended a course at Eastern Michigan University when he was 80 years old trying to expand his understanding of modern physics. His additional hobbies included bridge and number theory. As a life long bachelor, he was a colorful character with a unique approach to life who told memorable stories at family gatherings. He will be remembered by many for his beautiful voice and Christmas celebrations singing O Holy Night. John is survived by four brothers; Julius (Kay) Maurer, Thomas (Sharon) Maurer, Richard (Ina) Maurer and Edgar Maurer; four sisters, Sr. Gertrude Maurer, Martha Maurer, Gerry (Art) Orszula, and Susan (John) Bahs, many nieces and nephews. He was preceded in death by his parents, John and Germaine Maurer; grandmother, Alice Hebert; brothers; Roger Maurer, Donald Maurer, Joseph Maurer, and Victor Maurer; sister, Alice Keeler; beloved aunt, Corinne Drake; brother-in-law, Dean Keeler; sister-in-law, Louise Maurer; sister-in-law, Nancy Maurer and Marcia Bila. A memorial service will be held at St. Rose of Lima Catholic Church in Hastings on May 12, 2018 at 11 a.m. Funeral arrangements were made by Daniels Funeral Home in Nashville. Alfred Jardot, Jr. of Eaton Rapids, known affectionately as “Goat,” died May 1, 2018 at the age of 84. He was born April 9, 1934 in Lansing to Alfred Morris and Thelma L. (Dornan) Jardot. He served in the Air Force from 1957-1962, and then worked at Fisher Body for 45 years. He was a hard worker, working a full-time job and tending to the family farm and animals. He loved to tinker, play cards (games like Hand and Foot and Rummy), and enjoyed working on small engines. He also loved fishing, farming, and bird watching. Alfred was proud of his children and grandchildren’s accomplishments and enjoyed spending time with family. Alfred is survived by his loving wife of 47 years, Catherine Rose (Hillis) Jardot; children, Patty (Doug) Lifford, Mitch (Debbie) Jardot, Monty Parish, and Lori Parish; son-in-law, Rick Price; grandchildren, Sarah Price, Danielle Parish, Kim Price, Rebecca Lifford, Emily Lifford, Jessica Smith, Marvin Steward, Mia Jardot, and Tyler Jardot; seven great-grandchildren; and brother, Donald Jardot. 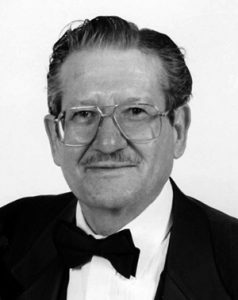 Alfred was predeceased by his parents, Alfred and Thelma Jardot; step-daughter, Jane (Parish) Price; grandchildren, Brian LaValley and Rae-Lynn; sisters, Maxine Kline and Barbara Higdon; brothers, Alfred Morris Jardot Jr., Bernard Jardot, and Paul Jardot. Friends are encouraged to support Alfred’s family at visitation and service. Memorial services are Saturday, May 5, 3 p.m. at Charlotte Assembly of God, with Pastor Shane Bryant officiating. Visitation is one hour prior to service at the church. If desired, the family suggests memorial contributions to Eaton County Small Animal Association for Rabbit Cages. Friends and family are encouraged to share memories of Alfred on his tribute page at PrayFuneral.com. The family is in the care of Pray Funeral Home in Charlotte. Herbert Levi Stacey of Marshall, formerly of Charlotte, passed away on January 26, 2018 at Oaklawn Hospital in Marshall. Herbert was born August 17, 1923 in Charlotte, the son of Elmer and Luella (Shaffer) Stacey and lived most of his life in the Charlotte area. He was a 1942 graduate of Charlotte High School and had served in the U.S. Army Air Corps during World War II. He was a member of the Charlotte American Legion Post #42 for more than 70 years. He sang for many years with their traveling group that performed throughout Michigan at veterans’ functions. He attended the First Congregational Church of Charlotte and the Marshall First Baptist Church after moving to Marshall. He had been employed in the maintenance department at the Eaton County Medical Care Facility in Charlotte from where he retired in 1986. He previously had been employed at the Wilcox-Gay Corp., Aluminum Extrusions, the Charlotte Recreation (Bowling) and the Char-Lanes of Charlotte. Herb traveled to Rome, Georgia in 1950 to help the Dixie Corporation build a new plant and then returned to Charlotte. He enjoyed bowling, golfing, deer and goose hunting. Herb spent a lot of time as a teenager in the Upper Peninsula hunting and fishing with his uncles. Herb was very talented and had a great imagination. He carved and constructed Christmas ornaments, lawn decorations as well as costumes and puppets which he used when he performed at holiday functions. Gladys and Herb enjoyed 25 years at their cottage at Duck Lake (Stacey-Ives Goof Off Haven) before they retired and then 30 years of friendships at their home in Sarasota, Fla. (Venetian Park Estates) in the winters. He will be missed by all his family and friends. He is survived by his wife of 61 years, Gladys G. (Field) Stacey; brother-in-law, Carl (Patty) Field; nieces, Jan Miller, Joyce (Charlie) Porter and Schara (Ike) Swan; nephew, Timothy Field and several grand nieces and nephews, Ginger (Larry) Holland, Gina (Graydon) Bell, Chris (Ann) Porter, Lesa (Bob) Smith, Steven Botimer, HaileyYoung and Landon Young; cousins, Richard (Joan) Spitzer and Gordon (Martha) Woodman; and special friends, Steven (Diane) Sowle and family. He was preceded in death by his parents; sister, LaDonna Ives, her husband Bill Ives; father-in-law, Geroge W. Field; mother-in-law, Jeannette Field; and sister-in-law, Carolyn Field. A memorial service with military honors will be held at noon on Saturday, May 12, 2018 at Burkhead-Green-Kilgo Funeral Home in Charlotte, with Pastors Philip Hobson and David Good officiating. Visitation will be held one hour prior to the memorial service. A funeral luncheon at the First Congregational Church of Charlotte will immediately follow the memorial service. The family is being served by the Burkhead-Green-Kilgo Funeral Home of Charlotte. 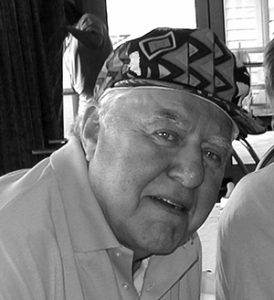 To view Herb’s obituary online or to leave a condolence for the family, please visit burkhead-greenfuneralhome.com. 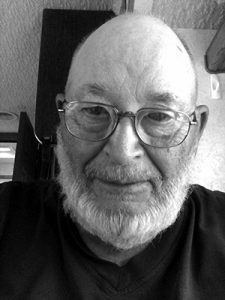 Dewain J. Sivyer, 76, of Vermontville, a man who loved outdoor activities and was known for his stubbornness, died May 2, 2018. Dewain was born August 1, 1941 in Lansing to James and Jeanette (VanPolen) Sivyer. He graduated from Grand Ledge High School and enlisted in the Army. While serving in Germany, he met his future wife, Monika Secker, and they were married October 6, 1962 in Frei-Laubersheim, Germany. They have been happily married for 55 years, and have enjoyed many adventures together traveling and fishing, as well as raising their four children. Dewain loved to fish in Canada, hunt on his property for deer and turkey, he had several vegetable gardens and canned the fruit of their labor, and he also loved fabricating in his barn (a skill he learned from his grandfather). Dewain was very proud of his children and grandchildren, and they will miss him dearly. Dewain is survived by his wife, Monika Sivyer; children Susan (Edward) Daaod, James (Linda) Sivyer, Richard (Martha) Sivyer, and Cynthia (Brad) Huff; grandchildren, Alex, Cody, Anna, Hannah, Brianna, Amber, Jacob; great-grandchildren, Joyeln, Ava, and Braden; siblings, Jeanette (Don), Helen, Donna (Gary), and Arlene. Dewain was predeceased by his parents. Friends are encouraged to support Dewain’s family by visiting his tribute page and sharing memories of him at PrayFuneral.com. If desired, the family suggests memorial contributions to Stoneleigh Residence in Lansing, where Dewain spent his final days being cared for by a wonderful staff. The family is in the care of Pray Funeral Home in Charlotte.